The Haus agencies, Illuminate and Banter have joined forces to support insurance company TAL for its third SpotChecker Summer campaign. The campaign, which launched last week, sees a series of pop-up clinics providing free skin checks appearing on beaches on the Gold Coast, Perth, Adelaide, Sydney and Melbourne. “TAL is always looking for new ways to protect this Australian life, and helping Australians understand and embrace skin safety is one of them,” says Antony Wilson, TAL general manager of brand. “Last year, TAL SpotChecker provided 1330 people with professional skin checks across Australia and more than half of those had never had a skin check before. According to TAL, the SpotChecker concept was borne out of its internal ‘Innovation Challenge’, which seeks to promote innovative thinking within the business. “So often brands want to be meaningful but end up simply just talking about it rather than taking action,” says Paul Den, partner and cofounder of Banter. The campaign launched last week with its first installation at Sydney’s Bondi Beach. 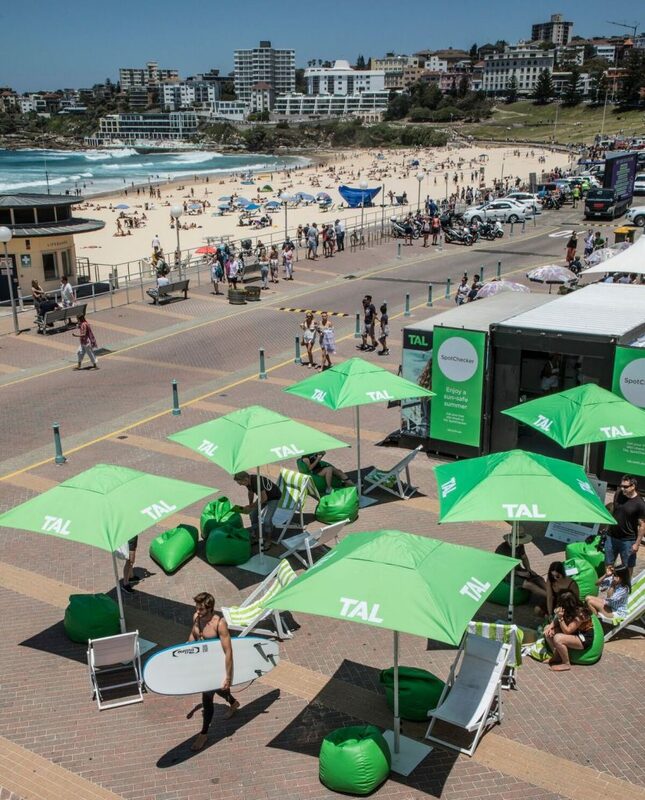 TAL’s SpotChecker will now head to Surfer’s Paradise on the Gold Coast (8-9 December 2018), then across to Cottesloe Beach in Perth (12-13 January 2019), followed by Harold and Cynthia Anderson Reserve in Adelaide (19-20 January 2019) and St Kilda Beach in Melbourne (26-27 January 2019).